History was made in the 2018 midterm elections, with a record number of lesbian, gay, bisexual, and transgender, candidates running for political office, and a record number of LGBT candidates winning. The nation’s second transgender state legislator-elect won a seat in the Colorado state legislature, and the third and fourth trans state legislators-elect won seats in the New Hampshire House of Representatives. Appointed to the court by the Republican governor in 2016, Nevada voters in a statewide election retained the first lesbian justice to sit on their state Supreme Court. Three states elected their first LGBT member of Congress (Kansas, Minnesota, New Hampshire), and the 116th United States Congress will have a record number of LGBT members (10). Two LGBT women are U.S. Senators, and nine LGBT representatives will serve in the House. Two of our nation’s governor’s are LGBT, while the first transgender major party nominee for governor lost, and two LGBT candidates for governor won. 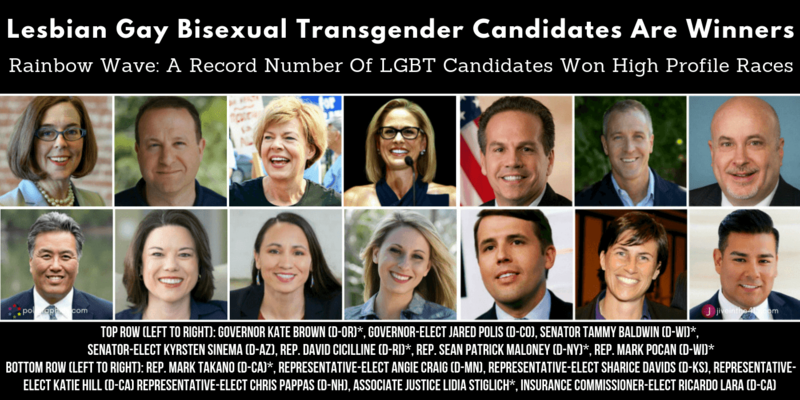 There were 432 LGBT candidates for offices at every level across the country. Most of the candidates ran as Democrats 86.1% and 61% won, while ‘other parties’ accounted for 8.6% and 35% won, and the self-loathing Republican party had 5.3% and 13% won. Overall I think it’s fantastic that 244 LGBT candidates (56.5%) won! 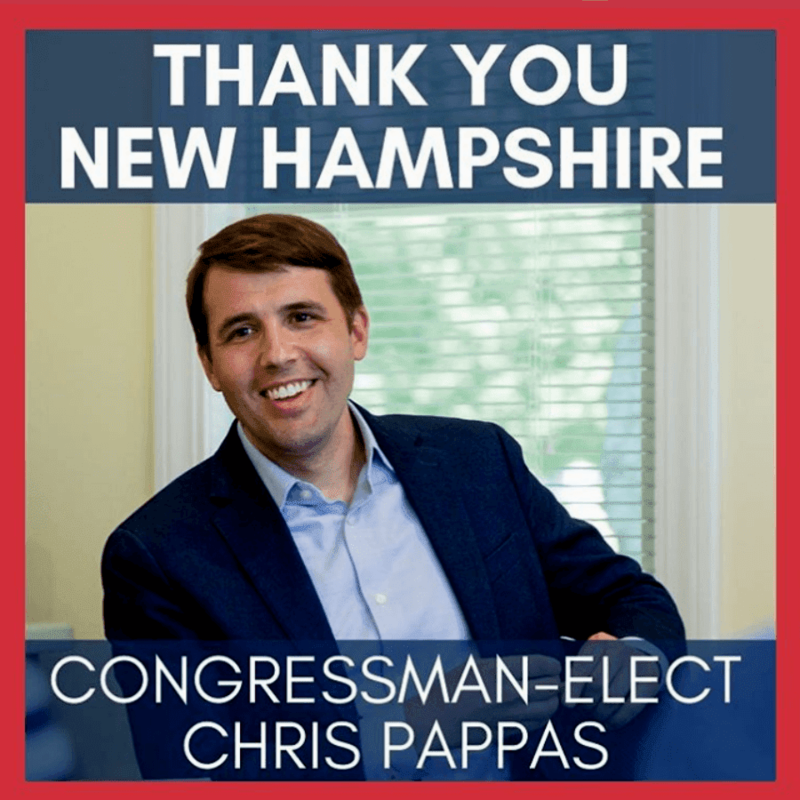 We won 2 of 4 (50%) races for governor, and 10 of 14 (71.4%) races for Congress! That’s a rainbow wave! Many pundits say this is the ‘year of the women’ and I don't disagree. The first two Native American women were elected to Congress, along with the first two Muslim American women, while Texas elected their first two Hispanic representatives, the youngest woman in history was elected to the House, and 123 women will serve in the next Congress. I strongly feel that we need to encourage more women to participate in politics and government, and more people of color and lesbian, gay, bisexual, and transgender, people too. Our government and elected officials DO NOT reflect the demographics of our population. Straight white old men continue to run everything, and that’s a travesty that needs to change. Our country was founded on the principle of equality, and the Declaration of Independence even says “all men are created equal.” History reflects that we’re not all created equal. We have a ‘modern’ political party that’s committed to voter suppression and disenfranchising minorities. They cheat and get away with it. When you take that into consideration, it makes this year’s midterm election results even more remarkable. After the disastrous 2016 election, I was apprehensive about the 2018 midterms. Luckily, MSNBC and CNN projected that Democrats would take over the House well before midnight west coast time, so I didn’t stay up too late watching the inestimable Steve Kornacki announce the results. The pundits wouldn’t characterize the gains as a blue wave on election night, as they didn’t foresee that the net gain would approach 40 seats. Gay genius Nate Silver said the real story of the midterms was the record-breaking 60 million people who turned out to vote for House Democrats. If Democrats can expand their voter base further, and a sizable number of voters continue to flee the GOP, anything is possible in 2020. Even though Democrats didn’t win back the Senate, they won the House. 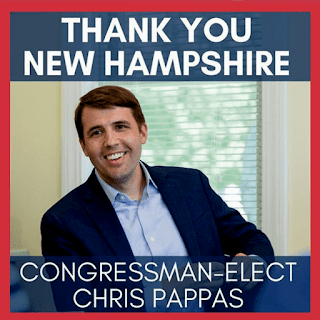 It was a blue wave after all! Correction: The Victory Fund is the best source of information about LGBT candidates for public office. They maintain an accurate database of candidates running in local, state, and federal elections. When this article was published, they stated that 399 LGBT candidates ran for office and 161 were victorious. 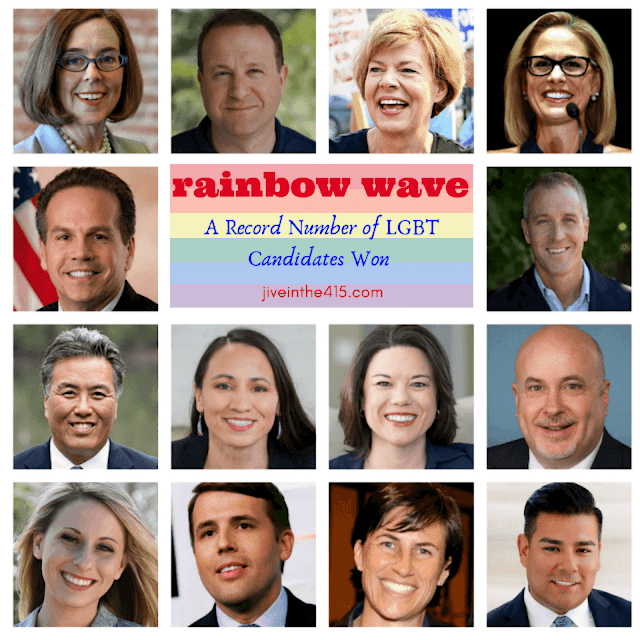 They updated their numbers and 432 LGBT candidates ran for office in 2018, and 244 won. The article was updated on Nov. 20, 2018 to reflect the correct numbers. NOTE: A list of the high profile lesbian, gay, bisexual, transgender, winning candidates in the 2018 midterm elections can be found below.